If you thought the air-cooled BMW boxer engine was destined to eke out its final days powering the existing R nineT range of heritage offerings, with no chance of further development in the face of ever-toughening emissions regulations – think again. 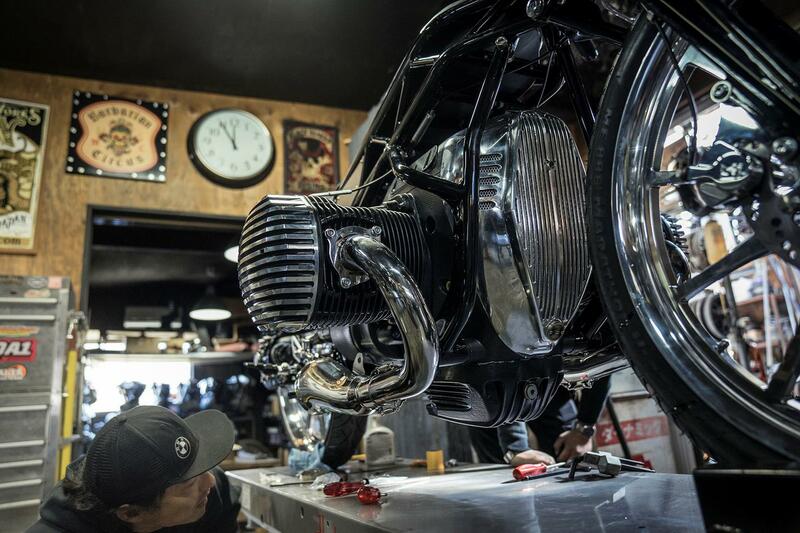 Hiding in plain sight on a radical custom creation unveiled in Yokohama, Japan, at the end of 2018 was an all-new air-cooled BMW engine – supplied direct from BMW Motorrad in Germany to be the heart of this Custom Works Zon crazy special build. This was no R nineT derivative, it was an all new engine – and the 'R18' name carried on the original bike’s tailpiece, as well as the huge physical size of the crankcases and heads, suggested this could be an 1800cc boxer twin built to directly attack Harley-Davidson and Indian’s dominance of the big-capacity air-head market on their home soil. Now, around four months later, a second custom machine has been revealed featuring the same large-capacity boxer engine, with Vice President of Sales and Marketing, Timo Resch, revealing in a statement that: "BMW Motorrad will present a series production motorcycle with the Big Boxer for the Cruiser segment in the course of 2020." Known as 'The Revival Birdcage', the bike was created by American custom house Revival Cycles and was revealed for the first time last Thursday evening at the Handbuilt Show in Austin, Texas. Resch then went on to say: "Naturally we want to keep growing. One step we will take to do so, certainly in the US market, is to enter the Cruiser segment. BMW Motorrad is consistently pursuing its growth strategy with the clear aim of becoming the number one in the Premium Big Bike Segment." Inspired by German motorcycle racer, Ernst Henne's record-setting machines from the late 1920s and early 1930s, the Birdcage uses a titanium frame, designed to give maximum exposure to the 'Big Boxer' engine. Alongside this, many of the parts, including the handlebars, footrests and carbon suspension components were all individually crafted, to create an additional layer of exclusivity. The entire build took around five months to complete. Speaking about the project, Head of Revival Cycles, Alan Stulberg, said: "The frame came together very well in the end and we are very pleased with the result, as it accomplished the goal of being nearly transparent. "We wanted to focus attention on the engine and that is precisely what we achieved with this completely unique frame we designed. You can easily view the engine and the drivetrain from all angles," Stulberg added. "I have always been a fan of the boxer engine, but the pure physical size and aesthetic appeal of this prototype really inspired us." The first custom build boasted a radical minimalist street-tracker style and was the first build revealed with the new engine, which BMW confirmed as an all-new unit at the time. BMW say the engine is still in the prototype stage, and that: "The external geometry and visible elements such as the push rods running above the cylinders in chrome-plated protection ducts recall BMW Motorrad boxer engines that were built until the late 1960s – but with an evidently larger capacity and a modern air/oil cooling. "Further details about the engine and its possible future use will be communicated at a later point in time." BMW have long been looking at options for a serious large-capacity air-cooled platform to help them break into the lucrative American V-twin market – even experimenting with an upright W3 cylinder configuration to solve the feet-forward issues caused by the boxer’s head position. But it seems they’ve decided to plough on with their trademark boxer configuration, and that its almost 100-year heritage is hugely important to their future direction. The new engine reverts to push-rods, finned heads, massive domed crankcases that look to house a huge flywheel, and distinctly 1920s/30s styling cues. It won’t be a relic of the past though, and will have to boast impressive technology to enable it to pass the Euro5 regulations that will be in force before any production bike will be ready to launch. 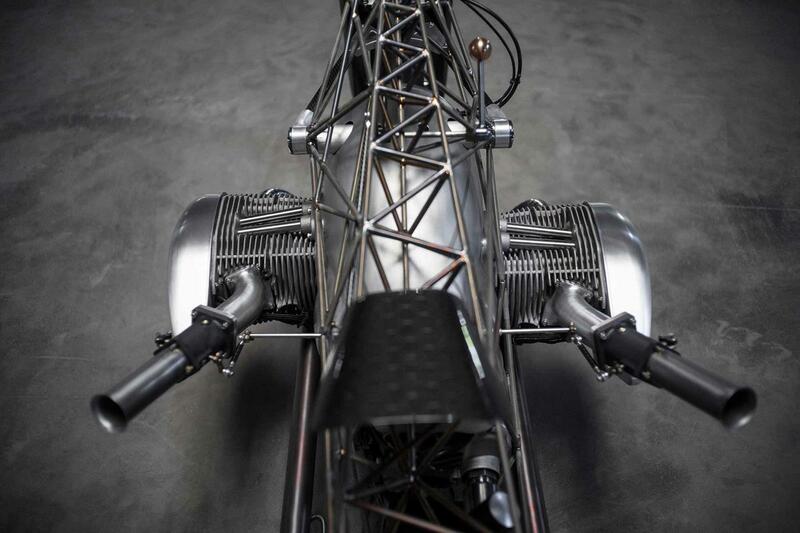 This concept’s exhaust could clearly never pass noise regulations, and nor could the use of pleasingly old-school carburettors – the production bikes will obviously be fuel injected – while much of the rest of the engine’s packaging looks well resolved already. 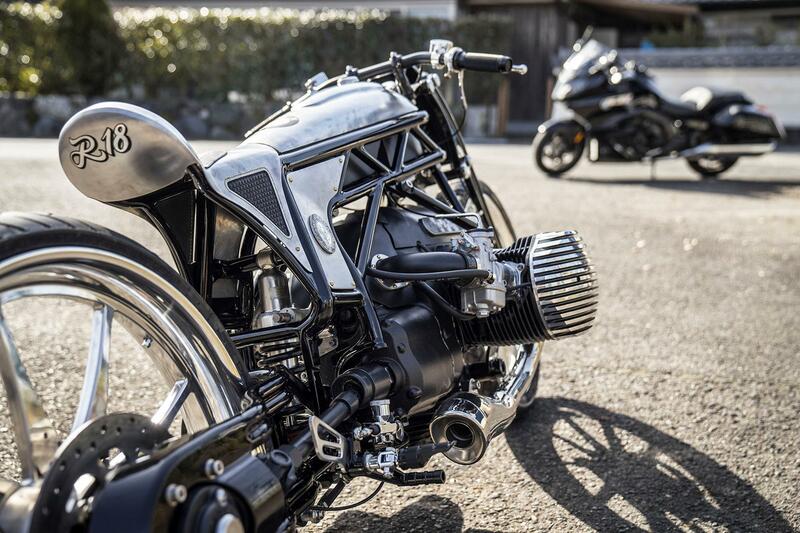 BMW have clearly learnt from the custom scene, too – with cleverly concealed components hidden where the air box would reside on an old R-series boxer, from which the coil pack’s leads snake elegantly down behind the carbs and into the back of the cam covers. Interestingly, it also retains the firm’s trademark shaft drive, ensuring no messy chains or unsightly belts and sprockets will ruin the cleanliness of the back-end. 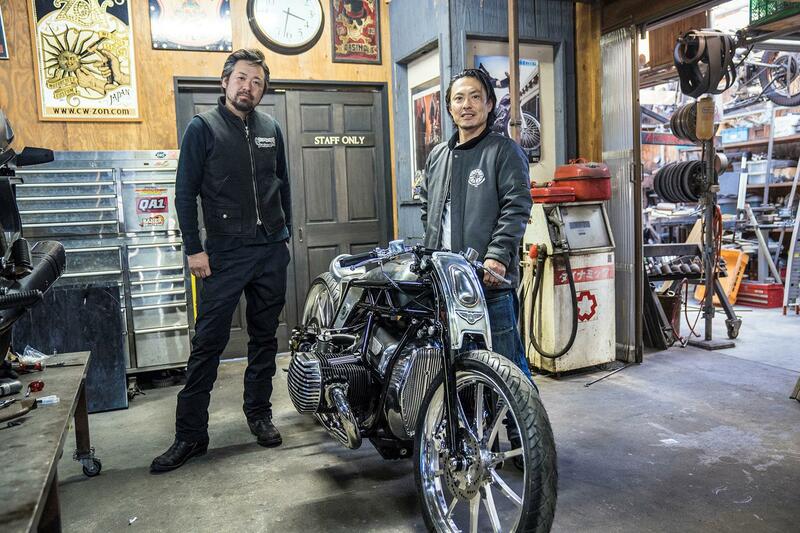 Yuichi Yoshizawa of Custom Works Zon commented: "It was a great honour and a challenge to be able to build a motorcycle around the prototype of such a spectacular new boxer engine for one of the most tradition-steeped manufacturers." Zon's distinctive style is abundantly obvious, with wild aesthetics underpinned by classic styling cues and modern production techniques. The very low silhouette of the bike is reminiscent of Ernst Henne's record-breaking machines of the late 1920s and 1930s, while the defining headline is the combination of large 21in front and ridiculous 26inch rear milled aluminium wheels. The girder fork was also machined from solid aluminium billet while the swingarm and main frame are steel trellis, with a bolt-on front cradle to facilitate removal of the "large-volume engine." The fuel tank, seat unit and front trim are hand-crafted from sheet metal. There’s no word from BMW about further concepts, or the new R18 engine’s debut in a production model, but we’d expect to see more of the former soon, and for an official BMW concept to appear in late 2019 – followed by the unveil of a production bike the following year. Founded by Yuichi Yoshizawa and Yoshikazu Ueda in the prefecture of Shiga in 2003, Zon is well-known for its exceptional creations. 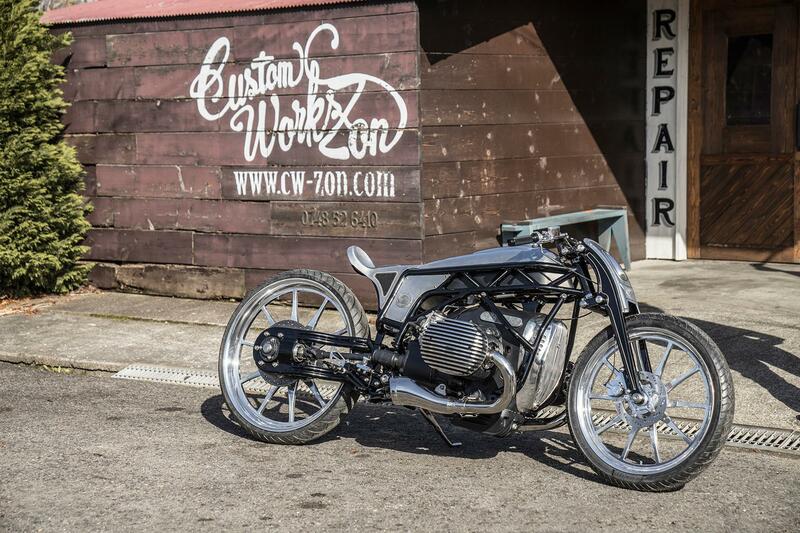 Regularly invited to well-known shows in the custom scene, such as Mama Tried Show in Milwaukee, The Hand Built Motorcycle Show in Austin and the Brooklyn Invitational, the small workshop has multitudes of awards to its name.